You see that bowl of cucumbers up there? I ate every bit of that. Sure, not in one sitting. It took me a couple of tries but I’m no quitter and I stuck with it until the bowl was empty. And I’d do it again, too, given half the chance. Creamy Cucumbers are just that good! Every now and then we go to a German restaurant and they serve this dish with your entree as an appetizer. I eat mine and my husbands. This is a very light and refreshing side dish with the taste of cucumbers in a creamy smooth sauce. Ever since I showed it on a plate with Crunchy Chicken I’ve had tons of comments and emails from folks asking me what it was. Most people thought it was a potato dish but alas, it’s even better and as easy as stirring a few things together in a bowl. I’m happy to share it with you today! I’ve had a lot of friends in my life, and they’ve each been a blessing to me. Today though, as Katy has her friend Sara Jane over for what has turned out to be a marathon sleepover (an afternoon turned into two days and that turned into just one more night and just one more day) I am watching the two of them play and can’t help but remember one particular friend from the old old days. And then came Mary Anne. She was bold, daring, independent, stood up for herself and anyone else she felt needed standing up for (that was usually me), and seemed to be so busy living her own life that she didn’t even notice there were lines. Mary was on one end of the spectrum and I was on the other. Together, we helped pull each other just enough towards the middle to balance things out. We were a good combination. My excessive blah balanced out her little too crazy. Mary Anne taught me how to have fun. Riding through the woods on four wheelers fun. Matching outfits fun. Electric Blue mascara and Bon Jovi as loud as it can go fun. Crazy-stupid-but-not-life-threatening-in-any-way fun. In our younger years slumber parties at her house were the kind you talk about thirty years later because the ghost stories still make your heart race. Middle school for Mary meant a lot of time in the office because during those horrendous bully years, she met ’em all on the blacktop on behalf of those that she felt couldn’t. Her home life was the stuff of tragic Southern novels so at one time we both had maps for escape plans written out and I had canned goods hidden in my room should she need to make a break for it. The first day of high school, Mary and I were two of only eight students who transferred over from our county middle school to the “city” high school. I walked in, all excited carrying the trapper keeper which matched hers – horses in full gallop with manes blowing in the wind. Mary Anne spotted me, walked over and snatched it out of my hand before tossing it in the trash atop hers. “Trust me. I got here early.” Apparently, trapper keepers were major no-nos at our new uppity school and Mary Anne had taken the first hit to avoid us both having it. One time, she had to work at her parents stables so instead of spending the Saturday alone hard at work, she invited friends and made it a party. I think about it now and see my 16 year old self scraping out horse stalls and laughing with some of the best hearted kids in school and can hardly recall a day when we had more fun. No plans on a Friday night? All you needed was Mary Anne and a car and just driving around town was a party. She was crazy in all the good ways mostly because she came from background that was crazy in all the bad ways, so she knew the difference. Boys I dated didn’t have to worry about my brother (he barely acknowledged I existed) but Mary Anne, should they bruise my heart. And they actually did worry about her because Mary Anne was not someone you wanted to cross. I was one of the rare folks who had her undying loyalty and still am, though she lives a few states away. And now I see Katy Rose and Sara Jane. Fortunately, Sara Jane comes from a good home and family that loves and adores her. She is respectful as the day is long and is quick to listen and do what she is told when the time comes… But that Sara Jane is a firecracker. She does not abide by injustice (Lord help any man who crosses her later in life) loves hot sauce on everything, sings at the top of her lungs even when she has never heard a song before, tells Katy to “get a grip” when she freaks out over whether or not her loose tooth is going to hurt, and then hugs her tight when a tear falls because even though her irrational fear of pain is irrational, Sara Jane loves her. The two of them are crazy together. And it’s so much fun to watch. They are like Frick and Frack. Together, the best parts of each personality are magnified, and it is one of those epic friendships that is just a joy to behold. They’ve been fierce friends since they first met in first grade. In the early stages of their friendship, their different personalities used to rub each other the wrong way and they’d argue from time to time. But they both quickly decided that they didn’t like arguing with each other and so they created a code. Whenever they would get twisted up in an argument or riff, one of them would say “Hot Cocoa” and that would remind them both how much they mean to each other and they’d let it go and apologize. Hot Cocoa…the brilliance in that from two so young amazes me. They are so much alike and so very different at the same time, and they love the alikeness and differentness in each other. Theirs is the kind of friendship you can look at and just know they’re going to be old ladies together. I had my Mary Anne. And I’m so glad Katy has her Sara Jane. Now let’s make creamy cucumbers. This one comes together fast so don’t blink because you’ll miss it. 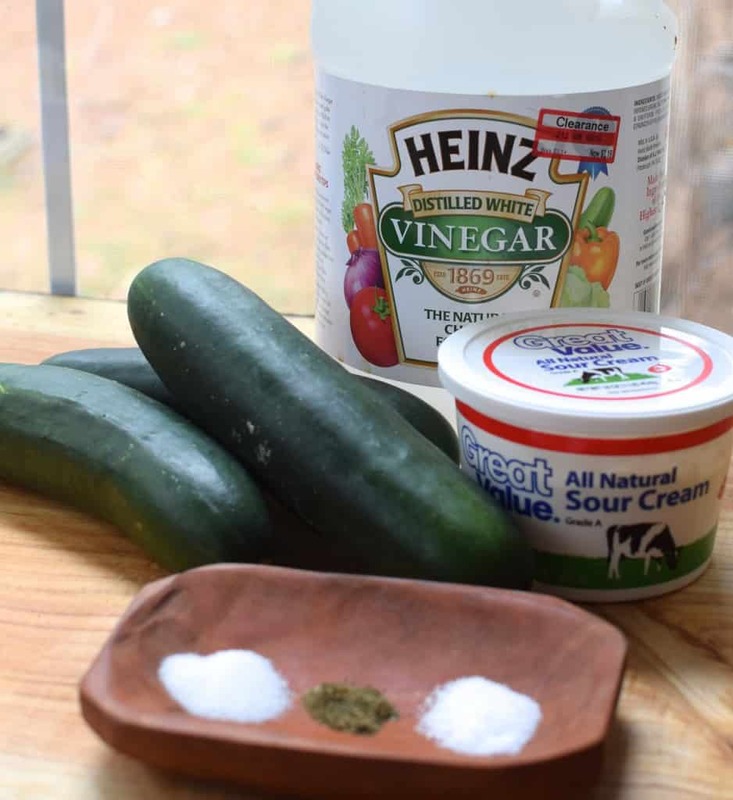 To make this stinking amazing dish you’ll need: Cucumbers, sour cream, vinegar, sugar, dill, and salt. And hey, waaaaay too much salt is pictured here but it’s been a long year so far so bear with me (and yes, I realize it is February). Stir everything together except the cucumbers. Peel and slice your cucumbers kinda thin-ish if you’ve a mind to. If you like thicker cucumbers or even cucumber chunks, knock yourself out. I set out to slice thin slices and then I start going down my mental to do list and my slices get progressively thicker, then I remember what I’m supposed to be doing and they get thin again. And it works. Put cucumber slices in a bowl and pour dressing over. Stir well to coat. Serve immediately or cover and refrigerate to serve later. Do you have a crazy friend? Or maybe you are the crazy friend! I’d love to hear your stories in the comments below! I had the crazy friends. I am a total introvert, and I always ended up attracted to extrovert friends. Together we balanced each other out. I think that makes a great friendship – when two people complement each other. Two extroverts view for attention, while two introverts will never get past “hi” because, well, talking! LOL! True! I guess thinking about that, Mary Anne and I make even more sense now! Great story about friends. When I was in 3rd grade, I had a friend named Kristy. She had a horrible life at home, and was picked on at school. I went over to her and said, you’re gonna be my friend, OK? And she said OK.
We were best friends from then on, and no one at school picked on her after that. We only knew each other for 1 yr, but we were inseperable. She had a bike, and I had roller skates. I would put my skates on, hold on to the back of her seat, and we would go riding around the neighborhood. We used to share my skates too. Her driveway was long and sloped down to the garage. She’d put on the left skate, I’d put on the right one, and we’d hold hands, and skate down together, screaming with laughter. When I was starting 4th grade, my family moved. 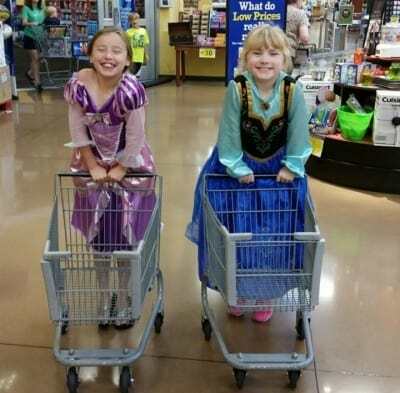 I’m 47 now, and I still remember her, her birthday, and how we would sit and talk about out lives at home, and how we were going to grow up to be princesses. I’ve had plenty of friends since her, and I remember them all fondly. But she’s the one I think of the most. I loved her dearly. When I saw that picture of your crunchy chicken, i thought those were cucumbers you had on the plate with it. When I was younger, I hated cucumbers. Now I love them. I started to buy some last week, but I wanted to see if your recipe was the same as my mom’s. It is! Going tonight to get some cucumbers and make this for me and my kids. They have loved them since they were old enough to put a bite of them in their mouth. I started them early on eating all kinds of vegetables. Have you tried to reconnect with her? Sounds good… BUT…. 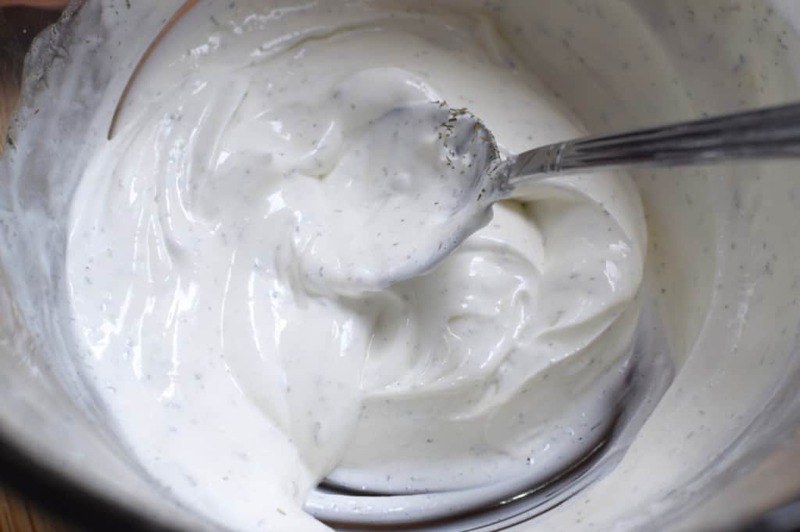 Skip the sour cream then use either whole cream or half and half add a bit of sugar and a bit of onion….. Can eat the whole thing !!!!!! Yes I do. Susie and I are still BFFS after becoming friends in the 2nd grade over 49 yrs ago. oh my goodness. i think out of all the recipes you have ever posted i am most excited to try this one! yum, yum and yum! your post reminds me of being a little girl and sweet friendships i had! when marlo saw the picture of your daughter and her friend in their princess dresses with those tiny carts her eyes got as big as saucers! she said “mamma who is that?”, i could tell she wanted to jump right in and play. My long life and best friend met in 9th grade in 1953. We have shared all the events that life has thrown at us, from the death of a child (hers), death of a 12 year old brother (mine), a spouse dying of cancer, a spouse surviving cardiac arrest, the joys of children and now sharing wonderful memories in our golden years. To me that is friendship pure and simple. I love the sound of this cucumber recipe and can’t to make it. I plan to eat the whole batch by myself. Thankfully my husband does not like cucumbers. Ordered ‘Letters” for my Kindle. Cost? Zero. I call that a “God wink”. Love cucumbers fixed like that. I would add thinly sliced onion to mine and then go to town eating on them! Yum yum yum yum YUM!!! I love these!! Being a Tarheel you better believe this was the first thing fixed when fresh cukes came on. Just like a ‘mater sammich when those came on. We always added thinly sliced Vidalia’s, too. Now that was a must! But…shhhh…let me tell you my secret. Sometimes I don’t add the sour cream. I mix everything else, including the Vidalia, then freshly grate just a tad of nutmeg in it. NO ONE has been able to figure it out but they know something different is going on. Oh, I almost forgot…when I don’t add the sour cream then I add more sugar, vinegar and water so it’s like a pickling brine, covering everything. Then let it all sit in the fridge to chill down. This is wonderful alongside BBQ! In fact, it’s sacrilegious not to serve pickles or this with BBQ. Everyone needs a friend in their life like Mary Anne and Sara Jane. This made me remember the old Girl Scout song, “Make new friends but keep the old. One is silver and the other gold.” And then the other thing I remembered is, “Friends come into your life for a reason, a season or a lifetime.” How true is this?! When I “lose” a friend and get upset, I think back to the little sentence and see the relationship as it truly was, not what I wanted it to be. Then I can smile and remember the good times, and that either I was there for them or they were here for me in the time of need. Thanks for the article. I really enjoyed it. 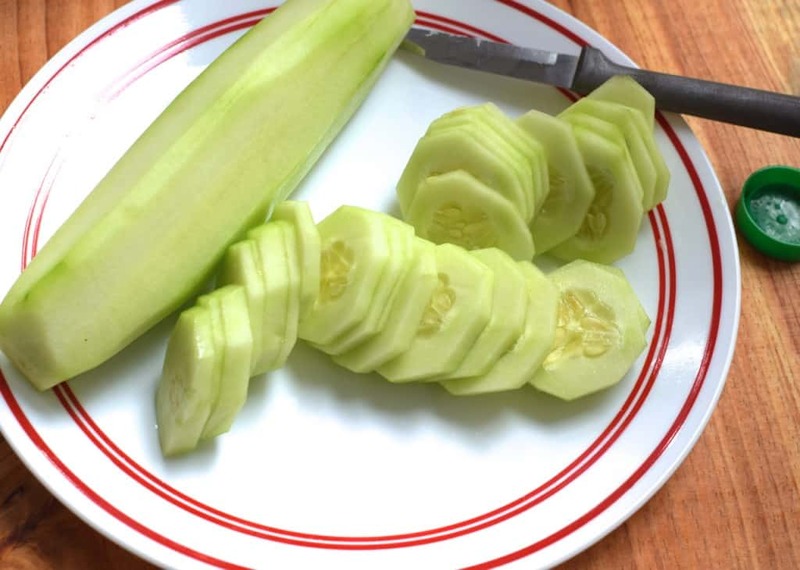 My dad loved cucumbers, and I made a very similar recipe for him. It had sliced onions in it too and Pops loved it. I liked it a lot, but my stomach most certainly did not and reacted quite violently and almost instantaneously. For years I thought it was the cucumbers and wouldn’t touch them even though Pops grew them. I finally found out quite by accident, that the real culprit was the dill weed and not the cucumbers. I have been happily eating cucumbers ever since. I have no problem with dill seed and since most pickles use that, wherever a recipe calls for dill weed, if the recipe will allow for it, I add a bit of pickle juice to get the dill taste in. My taste buds are happy and so is my stomach. Thanks for your recipe. I’m going to get cucumbers real soon and fix it and think of Pops. 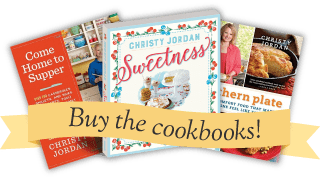 Thank you so much for your recipes and your stories!!! I LOVE to see the pictures of you and your family!! Born and raised in North Carolina, I love the south and all of our quirky ways. We were poor but there was always food on the table and lots of love.. You remind me of these times!! There was a lovely couple in my church that would bring these to every potluck supper (he was the cook). He has since gone home, and she is in a care facility for Alzheimer’s, but I still like to make this salad for potlucks every now and then to remember them! My BFF Chrissy was at my first birthday party (she lived around the corner) and we have been friends for over 60 years. Even though we now live in different states, whenever we are together it is just like we haven’t been apart for a day. I love that! She is definitely gold! I had that friend as well. Different as night and day, she came from a home where she lived with whichever relative would take her at the time, me-my dad died when I was 9 so I became the grownup for my little brother and sister because mom worked over an hour away and had a bingo addiction that kept her out till late at night almost every night. We got each other through some rough times. She passed a few years ago. I pray she is in a better place. Been making these for years–I’m Hungarian so a slight different-no sugar. Use a mandolin-easier slicing thin. I use 1T white vinegar and 1T white wine vinegar. Then just mix and put in the fridge shaking the bowl or string when you get the notion. I don’t mix in the sour cream till about an hour before serving if not longer. Then add paprika! And yes those cakes at the German restaurant are pretty darn good. They put sugar in them??? I will have to try this version of what I call Cucumber Salad! My recipe only has the cucumbers, sour cream, a little bit of water, and salt. I will have to see the difference the sugar makes. I also have another version that uses 1 part vinegar to 2 parts water, salt, and cucumbers, minus the sour cream and sugar. It is not sweet, but oh so good on a hot summer day! Thanks for the post! I always enjoy your stories about life! Great idea for a hot summer day!!! In 1986 while packing to go on vacation, I broke a fingernail. That just would not do, so found the nearest nail tech, which turned out to be my best friend in the whole wide world. I had been divorced for 16 years, she was married with two small children. There was a 13 year difference in our ages, me being the older one. Well, shortly after we met, her husband took up with her cousin, causing a dreadful divorce. We cried together and many nights after we went to bed, each in our own homes, we would talk to each other on the phone, until she became sleepy, most nights in the wee hours. When the divorce became final, we planned and carried out, a divorce party, with two other friends. It came down to her putting a man’s necktie , half hanging out the trunk of her car, and driving down the main drag of Myrtle Beach, South Carolina. We were cruising along, when we were stopped by one of Myrtle Beachs’ finest men in blue uniform. We were laughing so hard we didn’t have time to be afraid. He let us go but told us not to do that again. I’m still laughing. She was married again two days ago, Valentines Day, to her first love whom she met in 9th grade, and after 40 years. Oh my goodness, what a wonderful ending to such a precious story!!! Christy, I think mixing in a half-batch of your (well-drained) pickled onions would put this over the top. 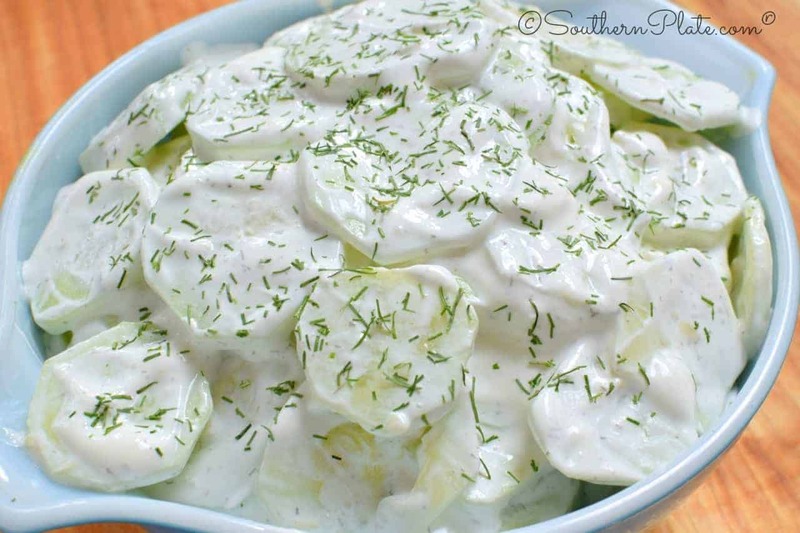 I love cucumber/onion combos, pickled or with sour cream. I buy the English (burpless) ones so it’s easier on my stomach but cucumbers and onion still make me burp. 😀 Your story about Mary Anne, your bestest and life-long friend is wonderful and I’m so happy that Katy and Sara Jane are heading down the same path. Those relationships are to be cherished. You are so right Jane, they are to be cherished! Years ago, my cousins and grandmother made a cucumber salad. liquid to thin the MW. I have never tried it your way but I will. Long ago those cucumbers were gourmet eats, at least , for me. Love your stories. Thanks for sharing your memories. Thank you Jane!! I hope you enjoy the cucumbers!! Ole Heidelberg, right? I can’t get enough of that restaurant. I live near Tuscaloosa and will sometimes plan a day trip just so I can eat there. Yum. Dear Christy: Thanks for this recipe. I have seen this salad but never knew how to prepare it. I have added the ingredients to my grocery list. My true BF, Suzette, passed away some years ago and l still miss her very much. Thank you for sharing with us! I hope you enjoy the cucumbers Joyce, and I am so sorry about your friend. True friends like that can never be replaced. Will be making tonight. To get real thin slices, I will slice on the mandolin. I will probably slice a sweet onion for this recipe, also. Have not had this dish since my last visit to the S & S Cafeteria in Macon, years ago. A real cafeteria staple! I hope you enjoy them Baltisraul! Christy, I’ve never tried cucumbers prepared in a creamy sauce like in the recipe above,but I’ve seen them in many restaurants here in Atlanta since moving here,and I must say they do look scrumptious. After reading some of the stories about childhood friends it reminds me of a childhood friend, Anne, we went to different schools,but after school we would always meet up at the Wallgreens soda fountain for our favorite Chocolate Fudge Sundae. What a wonderful memory!!! I hope you get a chance to try the cucumbers Annette, they are wonderful!! What delightful wisdom on friendships, fun and fierce loyalties! I am looking forward to trying your cucumber salad recipe, which I know will be great. My mom was from Germany, so she often made cucumber salads. I agree that they are delicious and amazingly refreshing. They also keep well. They are therefore good to make ahead for company and to take on picnics or to potlucks. My mom’s variation, which is also delicious, was made without the sour cream–just vinegar diluted with a bit of water (so the salad was not too acidy to her taste), oil and fresh chopped chives from our back yard, plus any seasonings desired like salt or sugar. That sounds wonderful too Peggy!!! I LOVE this post! Sara Jane’s grandmother, Jane, has been my mom’s very best friend since 7th grade. They were college roommates at Auburn, in each other’s weddings, and have experienced every overwhelming joy and hard challenge life has brought them through….together. Like Katy Rose and Sara Jane, they are alike in many ways, yet very different in others….the perfect blend of a lasting, life long friendship. What a blessing a true friend is, no matter what our age! Mmmm those cucumbers remind me of my dear mother-in-law’s recipe, only she used Mayonnaise instead of sour cream. They were so good! Every once in a while I make them and get to enjoy the whole bowl myself too. Sometimes there’s perks to having something that the hubby and kids won’t eat! 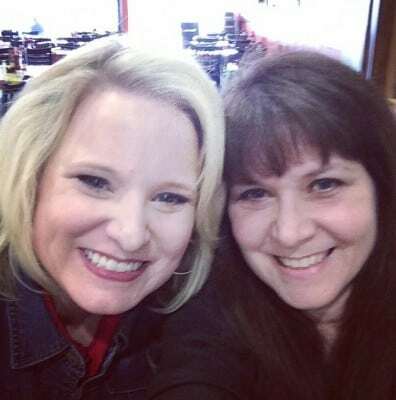 Your post about friends makes me think of my friend, Kris (shout out to Lancaster County, PA – Hey Kris!) We met in 10th-grade back in the mid 80’s – we shared homeroom before 1st period. I was only 15 when we met and absolutely forbidden by my dad to start wearing makeup yet. Kris would come to homeroom with an arsenal of cosmetics, and I remember being fascinated, watching her apply her eyeshadow and lipgloss- I couldn’t wait for the green-light to buy all that stuff. We remained tight all through highschool ; I started dating my hubby when I was in 11th grade ( he went to a different high school). Kris met her future husband around the same time; he was in the grade below us. I laugh at a particular memory from that year, because I had 3rd period history class and I sat in the second row, the fifth seat back. I would doodle both my and my hubby’s initials in a heart on the desktop and be dismayed to come back the next day and see our initials/heart scrubbed out and a new heart with ‘K + D’ written in it! I remember being really peeved…….Imagine my surprise, when Kris introduced me to Dave and I realized that Dave sat in the exact same seat in history class, the period after me! He would see my heart, erase it, and write their initals in a heart. We got a good laugh out of it….even if the history teacher and janitor didn’t……. Anyway, all these years later, Kris and Dave and their kids and my husband, I and our kids camp together several times each summer, and my family heads out to visit them and enjoy some time in PA Dutch country a couple times a year. It is so neat to have her friendship all these years later. That is the best kind of friendship!! Through thick and thin as we used to say!! Truefriends are a gift from God. Just like my German mother in law made. Perfrct! Don’t those friends give the most precious memories Judi? Absolutely they do, we went through new bride, new mum, preschool, school teenage years and so many times we were each others safety valve, she will always have a special place in my heart. I made these tonight!!!! Sooo good! It’s taking all I can do not to eat the whole batch! I am so glad you liked them Meridith!! Oh I love cucumber salads. I will make these with sour cream as you do but if I don’t have sour cream I will use mayo or yogurt. Sometimes a mixture-using what I have on hand. So good!! I’ve just recently heard from my best friend that lives miles from me now and her family says she is in a rehab center recovering probably from a stroke. So sad I can’t be there with her but sending her cards every week so she knows I care. I have a bff like that, we even live two blocks away from each other and work together. It’s wonderful to have someone (who isn’t technically family) that you know you can call and say you need help at any time and know they’ll help any way they can. I can also be my goofy self around her-she’s known me so long my goofiness doesn’t surprise her anymore 🙂 BTW, the restaurant you mentioned, does it have an Ol’ in the name?